Click here for the Langdales Hotel website. Apartments named "The Langdales" existed in the 1960s and had become a hotel by the end of the 1970s. 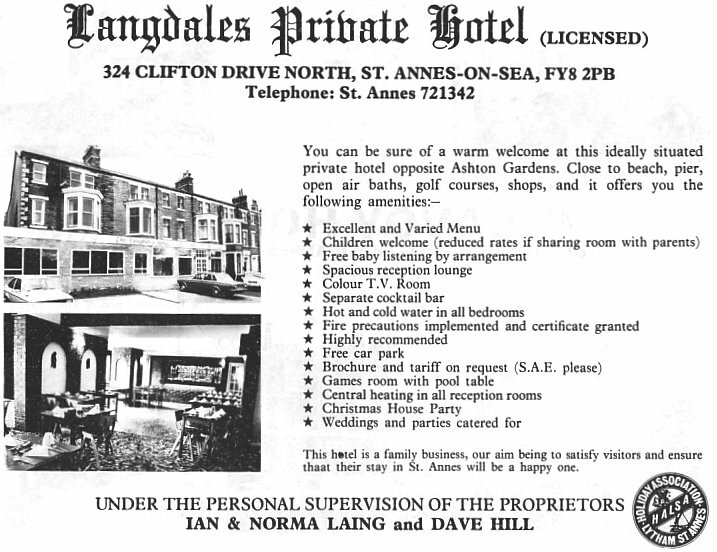 Advert for the Langdales Hotel from 1979.